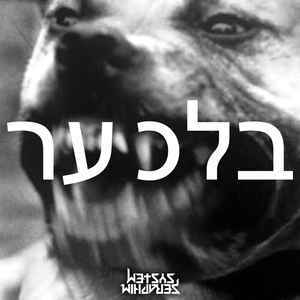 Genre/Influences: Electronic, electro-industrial, industrial-techno, d’n’b. Background/Info: Seraphim System has been very prolific during the past few years. The American project is already back on track unleashing this new opus featuring 8 new tracks. Content: “Kelevra” is not only a new work, but also an exploration of new influences. 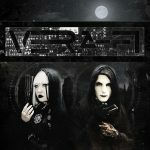 If previous work was more into crossover and industrial-metal music “Kelevra” moves back to explicit electronic influences. 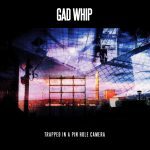 Most of the tracks are pretty electro-industrial like, but you also will notice other influences such as harsh techno-industrial elements and d’n’b. Furious electronics and bombastic drums have been mixed together with spooky vocals and samplings. The harsh approach has been sometimes mixed with finer bleeps. + + + : Seraphim System is a band of many talents covering an impressive spectrum of influences. “Kelevra” is already a new experience, each new album becoming a kind of sonic voyage. I like this electro-industrial approach revealing raw, but great sound treatments. The songs are furious and will definitely appeal for all lovers of hard electronics. The song “Insanity_X” is an absolute masterpiece! – – – : The sound formula is pretty diversified and yet it starts to become a little less predictable after a while. I can imagine some fans of the industrial-metal side of this band will be disappointed hearing “Kelevra”. Conclusion: Seraphim System feels comfortable exploring different music styles, but each style has been successfully accomplished. Best songs: Insanity_X”, “Bag Fulla Guns”, “Menticide”.